Brexit, why Communists and the Left must see it through. 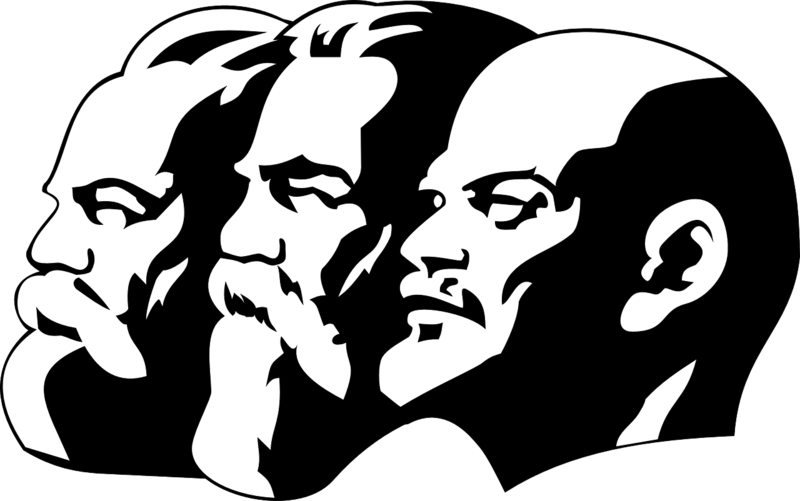 – What would Marx and lenin say today? What would Marx and lenin say today? Brexit, why Communists and the Left must see it through. With two months to go until the Brexit deadline working people are currently left in limbo with the parliamentary circus in Westminster. But why is a no deal better than a bad deal for the left? It has been with astonishment that the majority of the Trade Union movement including the Trades Union Congress has continued to campaign against Brexit including giving support for a second referendum. The persistence of TUC General Secretary Francis O’Grady’s claim that workers in Britain rely on the EU to protect workers rights raises the question of what is the purpose of the TUC bureaucrats if we have the EU to single handly protect the interests of workers from their oppressive bosses. This is obviously not the case and is a huge insult to the generations of union members who have fought and died for the conditions that we enjoy today, many earned long before Britain’s joining of the E.U. Rather than hiding behind the legislation, the British Trade Union movement must get back to its roots of taking action to defend and improve workers rights rather than relying on the crumbs handed down from the establishment organisations. ‘Free movement’ of workers within the European Union is nothing more than a contrived policy that was devised to exploit workers for cheap labour. The E.U particularly has prayed on the suffering of millions of workers in Eastern Europe since the collapse of the Soviet Union and coerced them to leave home to work and prop up the failing neo-liberal economies of the major European nations. As in the UK, the privileged and middle classes of Europe can benefit from visa-free travel and university educations abroad and reasonably paid jobs, whilst the poorest of society are forced to leave home to work for poverty wages and without the worker’s rights enjoyed by their British counterparts. This has been shamefully highlighted in the airtime given to farmers who are bemoaning that after Brexit they can no longer exploit vulnerable European workers to pick their strawberries. What’s more disgraceful is that this has been used by all sides of the remain camp under the buzz line of the ‘Europeans will do the work the British won’t do. This exploitation has played right into the hands of the far-right who have used xenophobic rhetoric to target mainly Eastern Europeans using the old nonsense ‘of coming here, taking our jobs’. New Labour and the subsequent Tory governments have failed these people miserably leaving migrant workers at the mercy of rogue employers who continue the treat them different to their British colleagues and this has helped divide the working classes of all nationalities creating a culture of resentment and distrust into our communities. There is absolutely no doubt that the unsavoury characters of Nigel Farage and the other right-wingers used racist and anti-immigrant sentiment to stir up support for the leave vote, and it is also true that many people in all areas of the country voted to leave because of these reasons. It is equally true however that as many people voted to leave because of the lack of EU democracy and many of the reasons previously discussed. To hold the EU up as pro-immigrant and anti-racist is simply false and the belief voting to remain makes you an anti-racist shows huge naivety. The EU has stood hand in hand with U.S imperialism and has joined in the bombing campaigns and slaughter of innocent civilians throughout Africa and the Middle East. The consequent selecting and backing of whatever despot regime suits their agenda has led to hundreds of thousand fleeing death and persecution in their once stable homelands. The E.U has practised a ‘hostile environment’ including closed borders and the deportation of non-EU migrants to Turkey in order to move the ‘problem’ off their shores. The disproportionate way free movement favours majority white Europeans but restricts the movement and right to work of members from all over the world hardly shines of an organisation committed to equality. The manifesto pledges made during the last election by the Labour party for the renationalisation of transport and utilities would currently face huge problems under EU competition laws. A clear example of this is the Fourth EU Package of Rail Liberalisation Directives which embeds an identical competitive structure to the 1993 Railways Act introduced in Britain and will enforce compulsory competitive tendering across all EU member states and regions by December 2019. This is a mass privatisation initiative and will look to attack the many state-owned railway systems in operation across Europe. It is clear that any form of Socialism in the Uk would be near impossible whilst part of the draconian neo-liberal EU apparatus. The European Union, European Commission and the European Central Bank are austerity fanatics and have had demonstrated they have no problem with intervening and imposing austerity measures on several of its member states. There is no doubt an attempt to bring socialist policies to the UK whilst fully or partly involved in the EU would be met with equal interference and in view of the shameful position Jean-Claude Juncker has taken on the imperialist Coup in Venezuela it would be unsurprising to see the EU army arriving on our shores. No Socialist should view Brexit as a victory for workers or a victory over imperialism. The working class must be more vigilant than ever to the neo-liberalism of the current vicious Tory regime, and Marxists must work harder than ever to unify the most vulnerable in our society and to educate our class on the need for socialism and a fairer society. How this is achieved remains up for debate however there is no doubt outside the EU the opportunity and prize of Socialism in the UK have never been greater for decades. PreviousThe National Liberation Army peace negotiators will return to their military camps in Colombia.